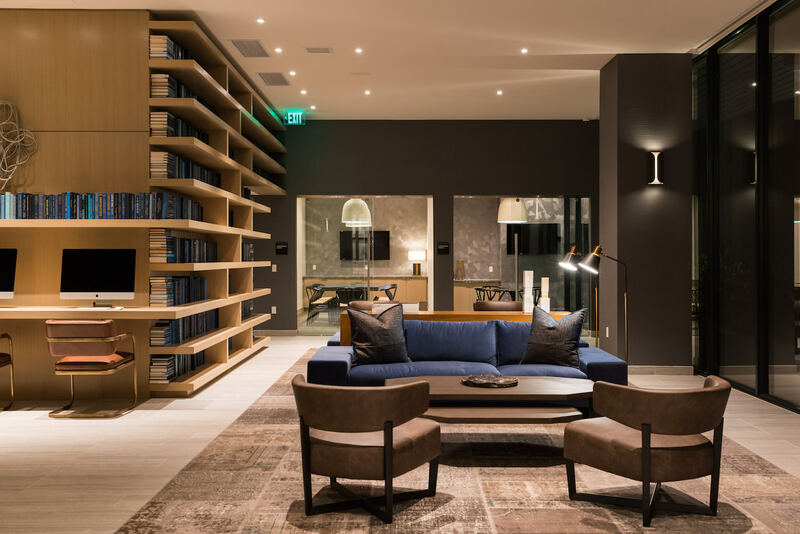 Atelier is one of many residential projects currently rising in Downtown Los Angeles – but its sleek, Obsidian-colored exterior sets it apart from all others. 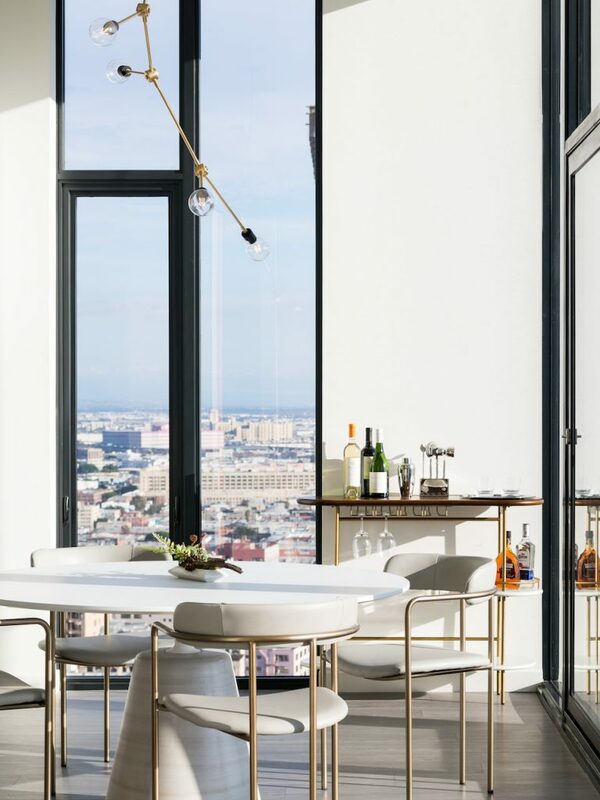 The 33-story tower, designed by Solomon Cordwell Buenz Architecture, features 363 apartments above 10,000 square feet of street-level retail space. 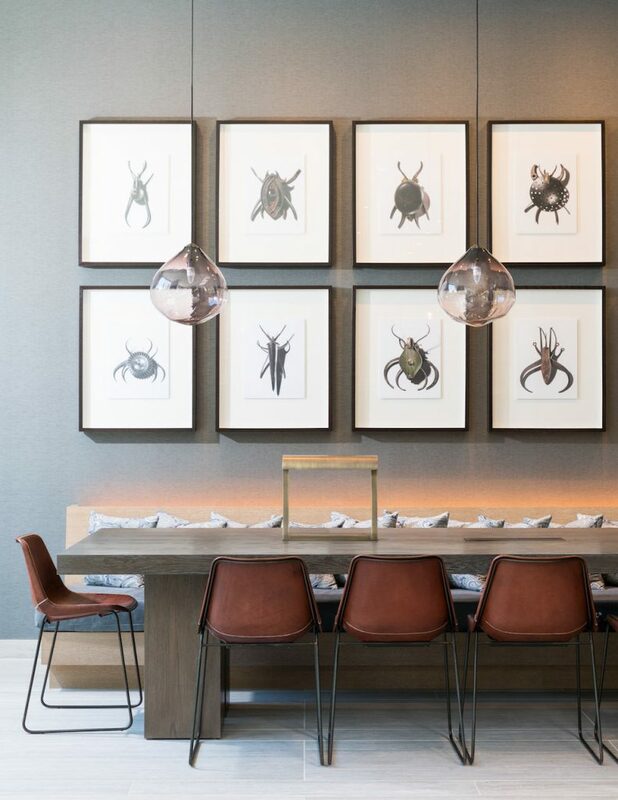 With luxury finishes, modern interior design, and resort-style amenities, Atelier caters to a sharp, contemporary lifestyle. 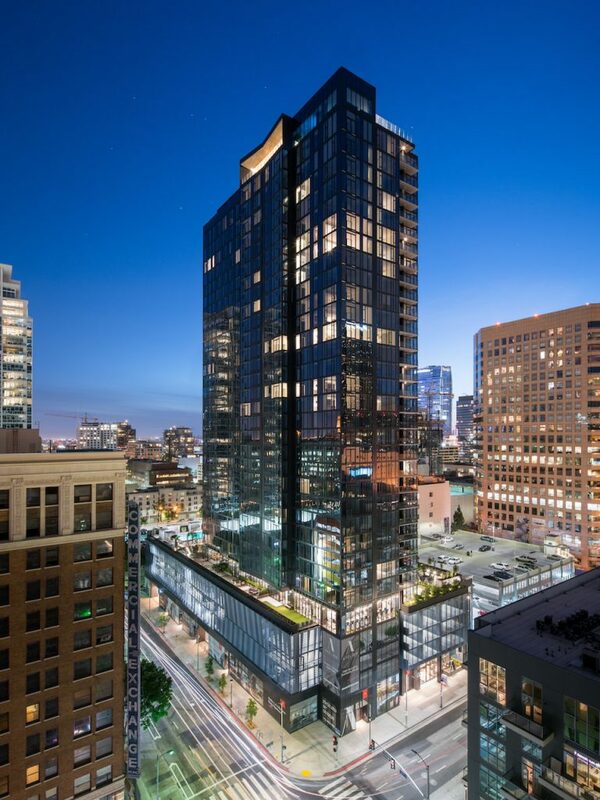 Situated at the intersection of 8th & Olive Streets, the project is centrally located to many of DTLA’s hottest destinations. 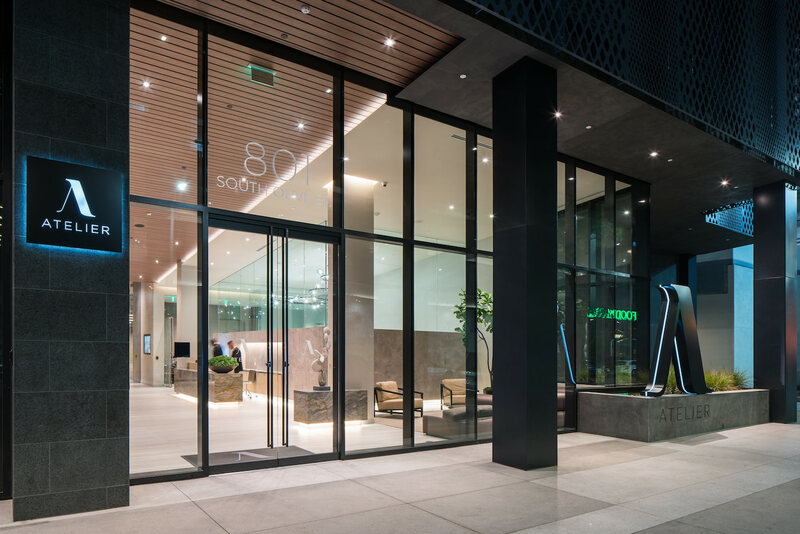 Residents can easily walk to a myriad of restaurants and bars on 7th Street, Whole Foods across the street, luxury boutiques popping up on Broadway, or LA Live and Staples Center in South Park. 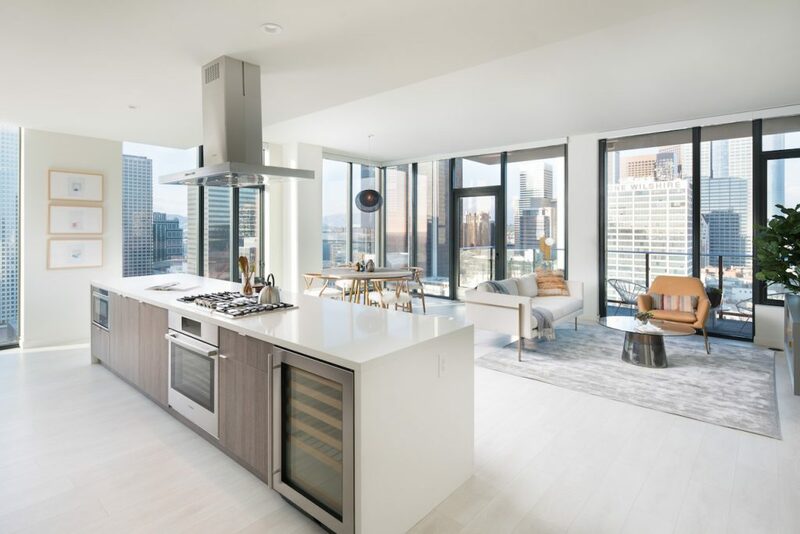 A mix of studio, one-, two-, and three-bedroom residences feature contemporary floor plans with floor-to-ceiling windows, immersing natural light and diverse views downtown into daily life. 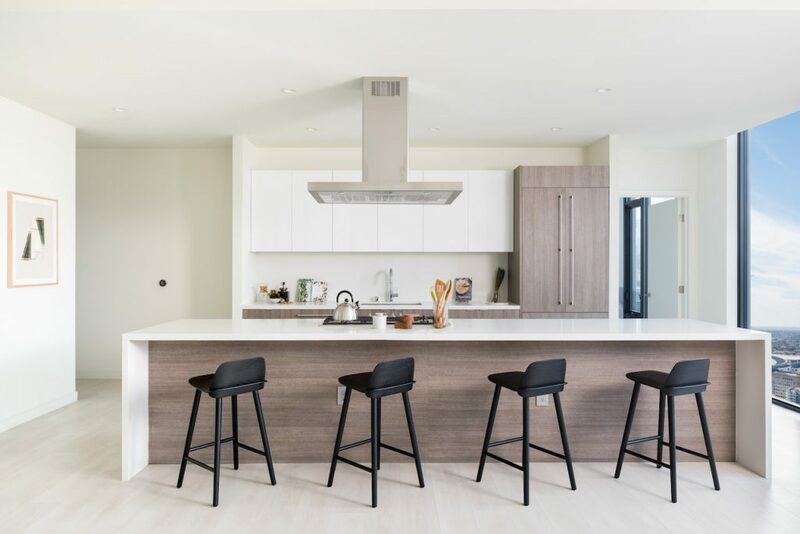 High-end finishes such as German hardwood flooring, Italian-style cabinetry and quartz counter tops create a modern and elegant environment in each unit. 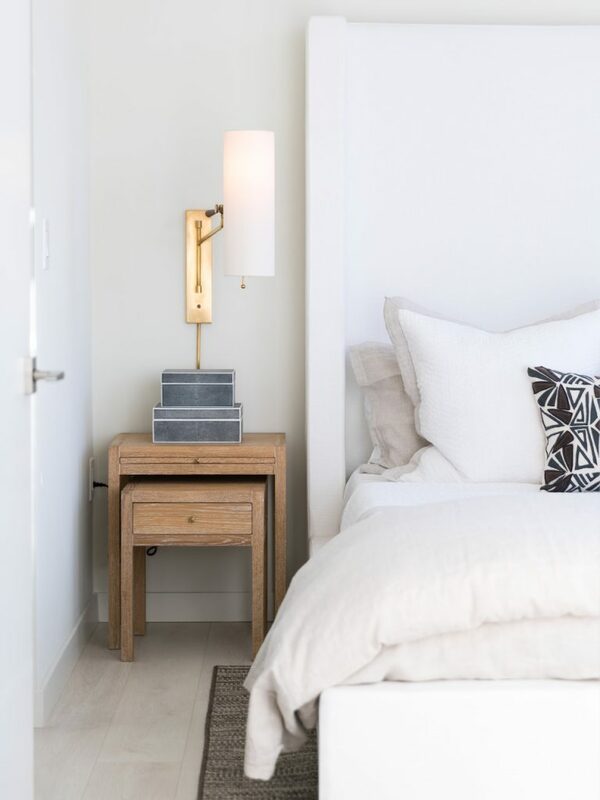 The project's interiors were styled by Rodrigo Vargas Design. 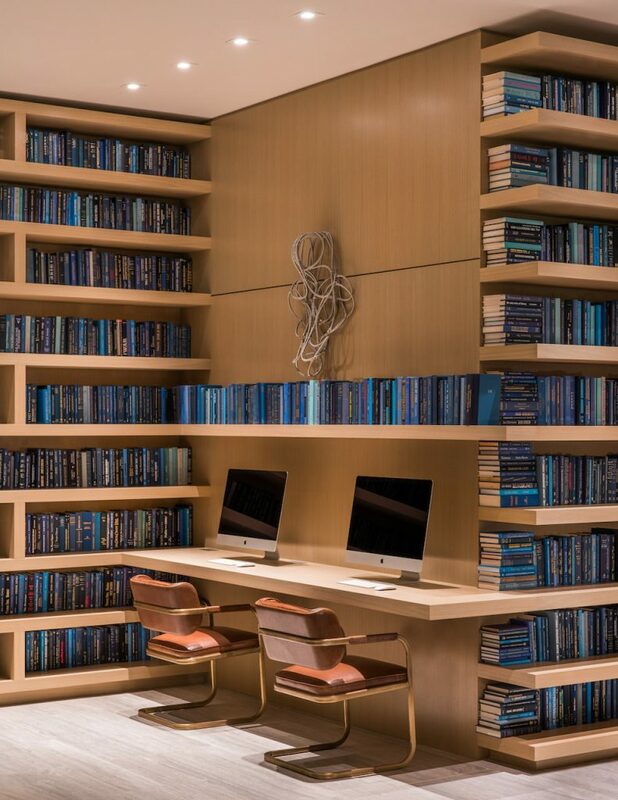 Atelier offers a collection of premium amenity spaces throughout the building. 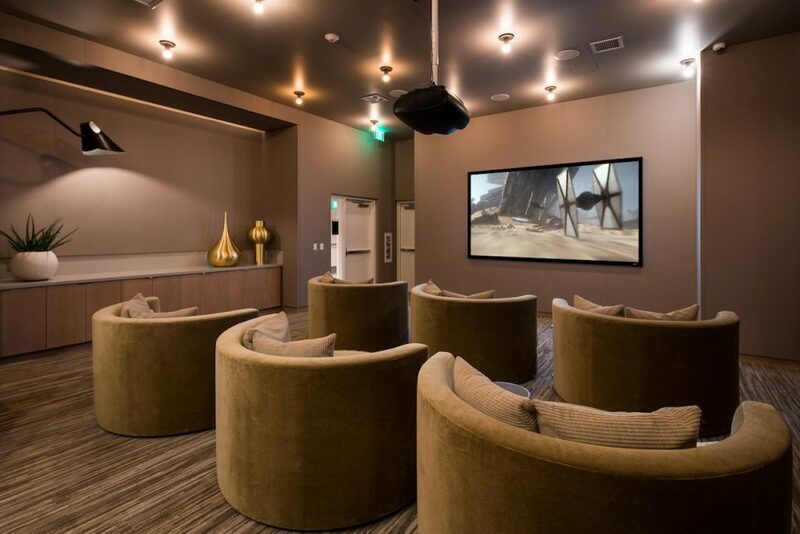 The 5th floor podium deck includes a fitness center, indoor/outdoor clubroom, a private screening room and a business center with two conference rooms. 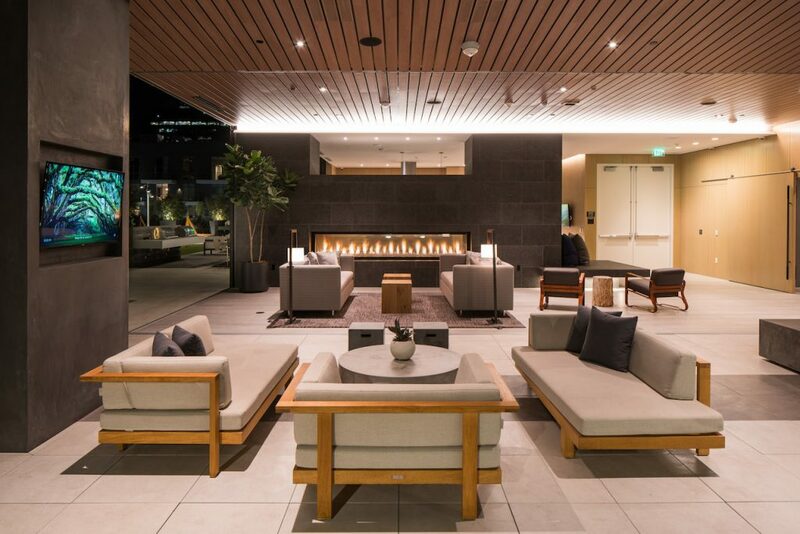 The expansive landscaped courtyard includes a yoga terrace, a resort-style pool deck with cabanas, and several fire pits. 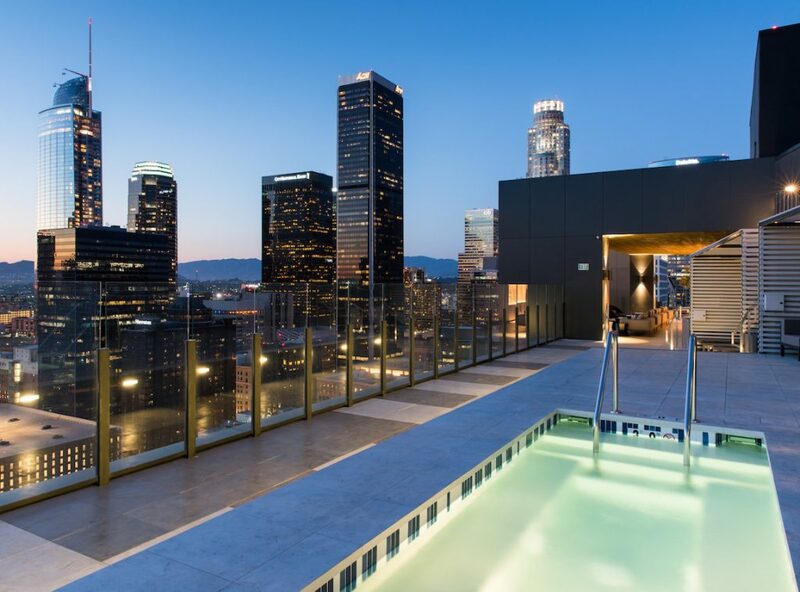 The rooftop skydeck provides 360° views of Downtown, Hollywood and Century City. 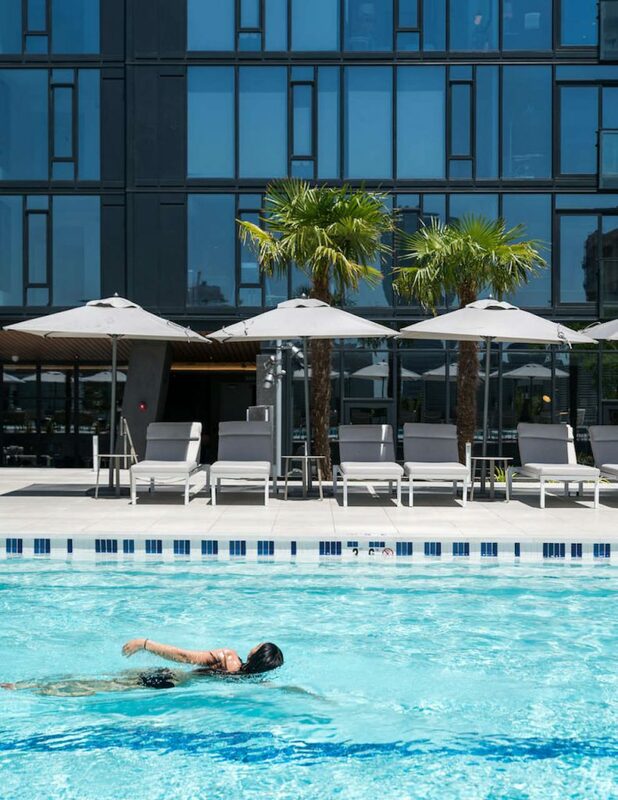 Residents can enjoy elevated outdoor living at the splash pool or an al fresco meal on the private dining terrace. 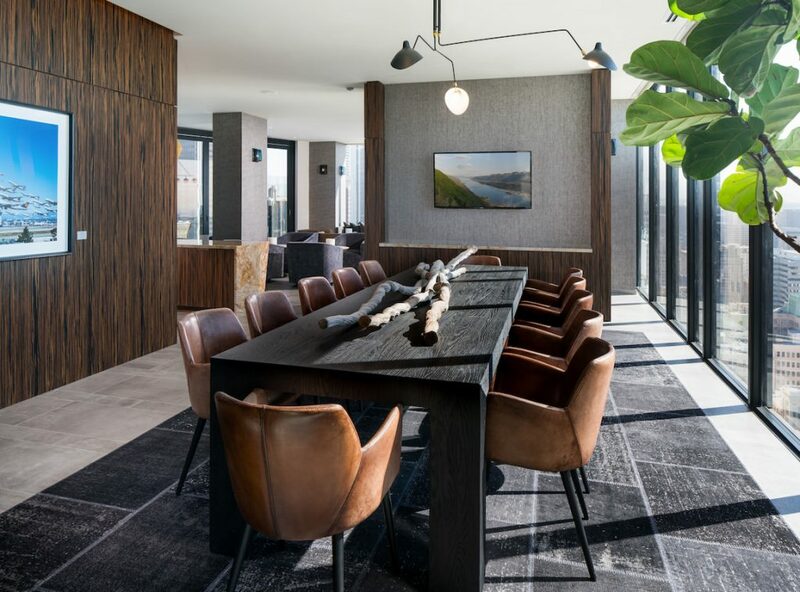 The rooftop lounge offers a quiet place to relax or work during the day, and the perfect setting for a gathering of friends or family at night.